FME Desktop consists of three components: FME Workbench, FME Data Inspector and FME Quick Translator. Everything starts in FME Workbench, the authoring environment where you configure and run your workspace. A workspace is the name of the workflow that you design on the canvas. It generally includes at least one reader to pull data into the workspace, transformers to manipulate data, and at least one writer to output data. You can build workspaces in a few quick clicks using FME Desktop’s drag-and-drop interface. Workspaces are repeatable and can be run again and again. No coding is required, which means you can spend more time using your data and less time fighting with it. (And if you really want, FME Desktop also supports Python). FME Data Inspector is a viewing application that allows you to inspect data – before, after and during translation. 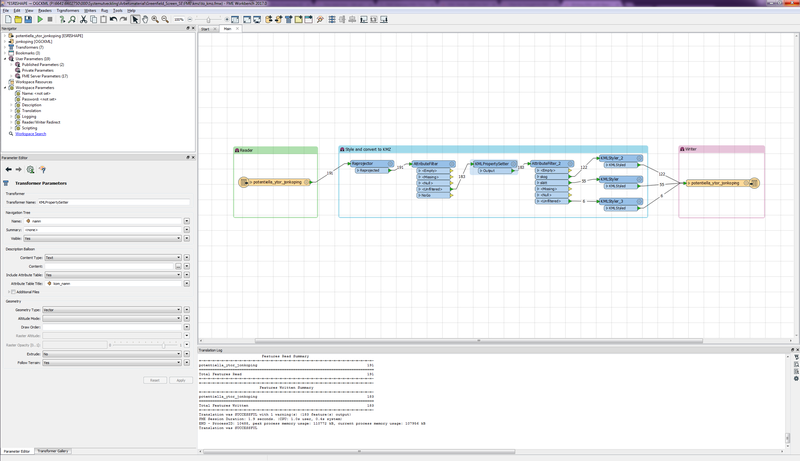 Most users create workflows in FME Workbench before viewing the results in FME Data Inspector. 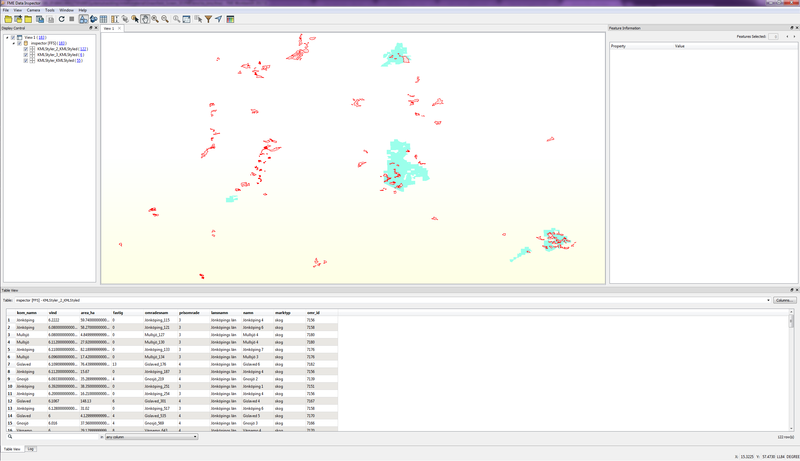 Different options allow you to inspect your data in 2D mode, 3D mode, and in a table view. For simple translations that do not involve any customization, you can get quick results by using the FME Quick Translator. Advanced FME users can also execute custom mapping files through this interface. Designed for quick translation, the FME® Quick Translator makes it easy for you to perform fast, easy conversions between hundreds of formats. FME Server works hand-in-hand with FME Desktop. Design the workflow you want to automate in FME Desktop’s drag-and-drop interface and then publish it to FME Server at the push of a button. By using FME Server you can schedule the workspace you created to automatically run at any time interval, turn it into a self-serve process for others to run whenever they want, or have your workspace always running in real-time. Engines are the power behind FME Server and process jobs one-at-a-time. If multiple jobs exist, they either queue up behind the single engine or get distributed across multiple engines for simultaneous processing power. Do I need FME Desktop? Yes, you also need FME Desktop. FME Server runs on workspaces which are authored in FME Desktop. FME Cloud is the hosted version of FME Server. It’s the ultimate platform for connecting the web, combining the automation power of FME Server with the flexibility of the cloud. No other tool is able to handle the complexity of spatial data in apps like Google Maps, ArcGIS Online, CartoDB, and hundreds more. Start by building integration workflows in FME Desktop’s drag-and-drop interface. Then use FME Cloud to run them constantly in real time, in response to events or on a time interval. Scale up or down as needed. Users create workspaces in FME Desktop’s authoring environment. They can be run in FME Desktop, or for enhanced automation can be published to FME Server, which you host on-premises on your own server. If you prefer to let us host FME Server, then choose the cloud-based version of FME Server, namely FME Cloud.